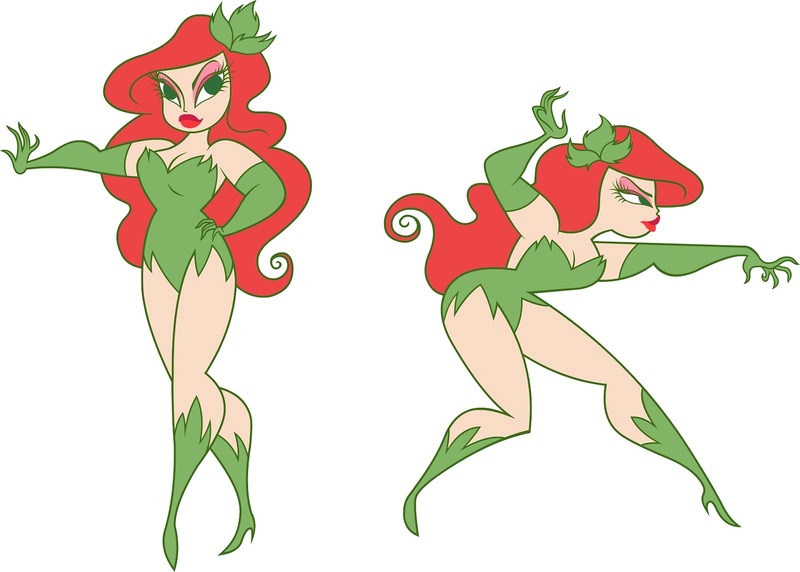 She's Fantastic: Super Best Friends Forever POISON IVY! 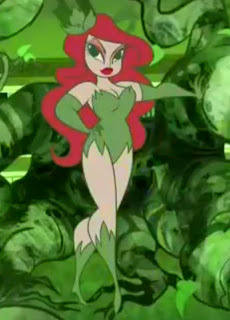 Super Best Friends Forever POISON IVY! Lauren Faust is the animator behind the huge cartoon hits Powerpuff Girls and My Little Pony: Friendship is Magic. 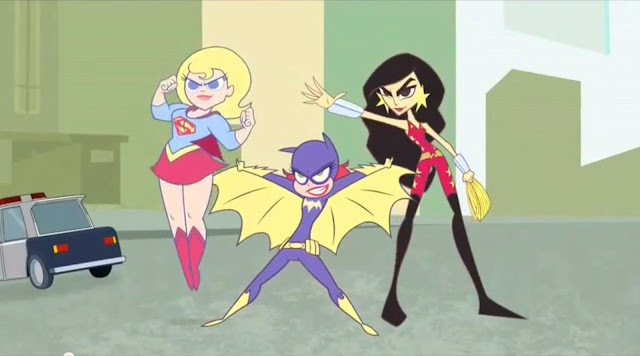 In 2012, Lauren put her talents toward a series of animated shorts for the Cartoon Network's DC Nation show. Super Best Friends Forever featured the mini-adventures of Batgirl, Supergirl and Wonder Girl. 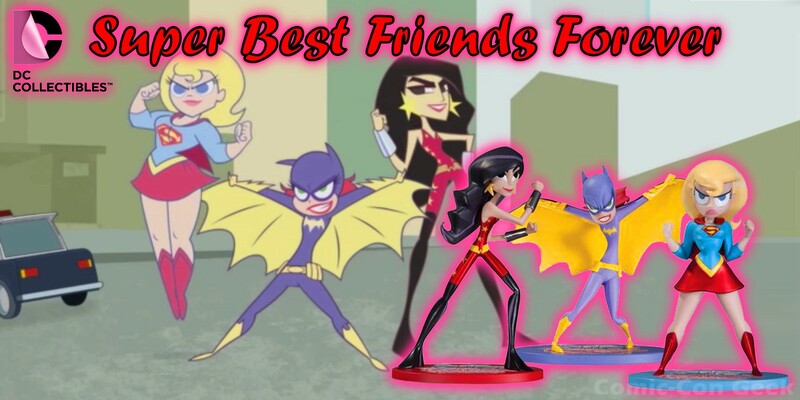 Although there were only five shorts ever produced, they made quite an impact and the three main heroines were immortalized in an SDCC '13 Exclusive Box Set of PVC Figures (essentially plastic statues). I was on the fence about these figures and still haven't purchased them (NOTE: They're being released individually with alternate heads in December). But then they announced Poison Ivy as the NYCC '13 Exclusive (to which I was already going), and I knew they got me. Poison Ivy only appeared for about two seconds in the second episode of SBFF. Literally the entire short was about the girls racing to get to Ivy, then there's a couple closing shots of her just standing there. So, needless to say, this figure came as a bit of a shock. Let's check out Poison Ivy below! The sculpt by Irene Matar is pretty much perfect. As an amateur sculptor myself, I know how deceptively difficult it can be to capture a simple animated look. When characters are abstracted into a unique animated form, the subtle details are what make it successful. Something as overlooked as the arc of a curve or the rate of a taper can make all the difference. Plus there's the always-present challenge of tranferring a simplified 2-D image into a fully-realized 3-D sculpture. I have really come to appreciate when it is done well. Kudos, Irene, I can't wait to see more of your work. Here are a bunch of images of Poison Ivy and the girls in SBFF style. That is such a fantastic design! Saw the mini episodes the other day & they are a lot of fun.